At Little Elephant we believe in 5 core ideals in an effort to support our principal ideal: a commitment to the Montessori Method of Education. 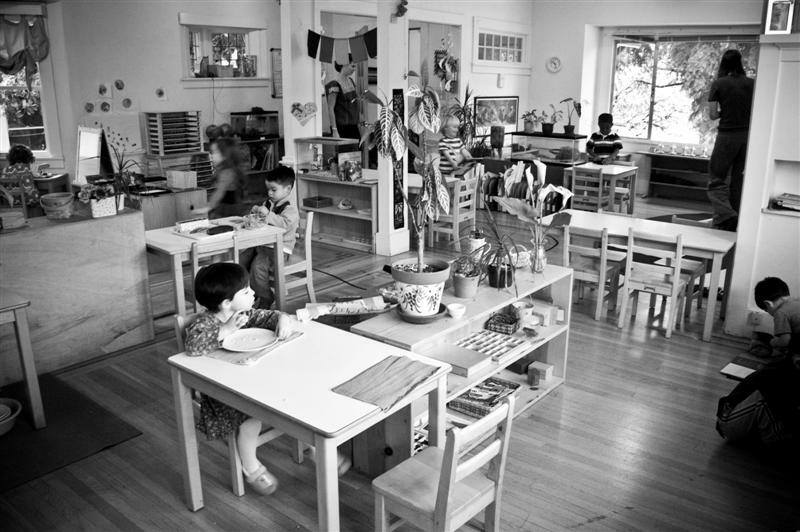 The Montessori Method of Education has three primary parts from which all of the pedagogy follows: the child, the environment and the teacher. Our number one priority at LEMS will always be to not only nurture every child but to foster their development physically, socially, cognitively and spiritually. By preparing an environment in which peace, self-awareness, independence and respect are promoted the child is able reach to a higher level of learning and growth. When a child spends time in a carefully prepared environment they are then free to open their minds to not only academic learning but also to their own spiritual growth. Compassion, empathy, kindness and self- reflection are all attributes we work to help your child to achieve. Social skills are the foundation for many of these attributes and are developed through the use of the Montessori pedagogy with a strong emphasis art, dramatic play, music and creativity. When a child leaves Little Elephant we would like see a young person who is in love with learning, has respect for the diversity and complexity of our world and has a strong sense of community. Do you have other questions? See the FAQ’s page.